Symphony & Spirits is a series of events specifically designed for people ages 21-39, offered by the Portland Symphony Orchestra and local area bars or restaurants. 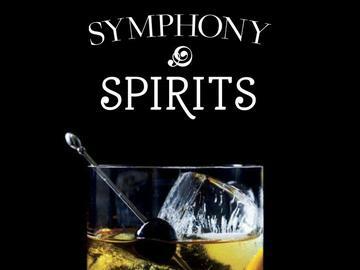 Symphony & Spirits offers a combined ticket to a symphony performance and a pre- or post-event drink ticket at a local restaurant or bar where folks can drink, mingle and generally have a great time, for $25.00. Event locations subject to change. Prior to the PSO's classical concert, guests will head to Portland's Blyth & Burrows from 5:00-7:00 PM. You will have the opportunity to meet and mingle with like-minded people who enjoy creative cocktails and extraordinary music. After cocktails and mingling, attendees will head to Merrill Auditorium to enjoy the 7:30 PM performance of the PSO's classical concert featuring Cellist Matt Haimovitz.